With a telescope case or carrying bag you can easily take your telescope anywhere. Especially when you live in a city, for good observations it is often necessary to travel a bit and take your telescope with you to an area without light pollution. 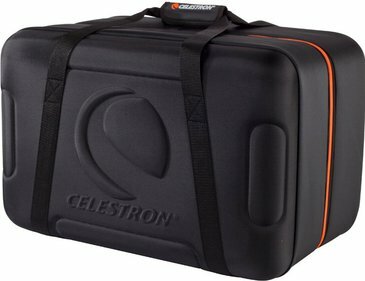 A telescope case or telescope bag is a life saver in those cases. When you buy a case or bag, make sure to verify that it fits the telescope you own.